You may contact Mary Jane at 715-462-9060 or command@centurytel.net for any questions. Moffett Precision Products was established in 1955 in a small machine shop in Sugar Grove, IL by my grandfather, Frank, and my father, Jack. 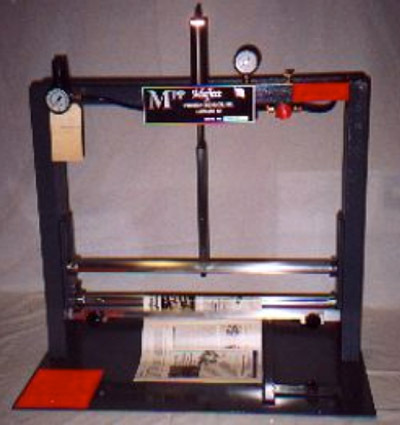 Specializing in book binding equipment and book binding testing equipment, the company was constantly expanding and developing machines for many types of industries. . Our Midwest location has been one of the keys to our success. The heritage of this region inspires innovation and nurtures skilled craftsmen who take pride in their work. The factory moved to Somerset, Wisconsin in 1986 and expanded on a yearly basis. We diversified into a broad scope of industries, besides enjoying a solid heritage in the Graphic Arts industry. Our line of Page Pull and Page Flex Testers are known worldwide as the “Standard of the Industry” since 1976. 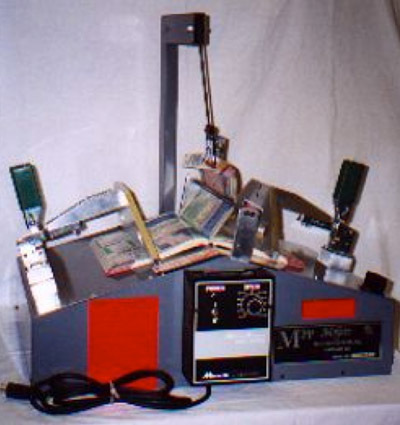 In 1997 the company moved to Hayward, Wisconsin and we now concentrate on bookbinding and book testing machines.